How to hide my Facebook online status? Often you want to use facebook enjoy some games out there and want no disturbance, there comes a unwanted chat request and a friend/relative saying “hello”! … aaah that’s disturbing. How do I hide my online status in facebook or turn my status offline for a while? 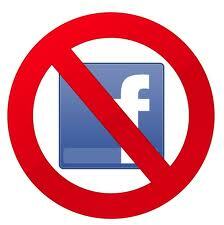 Follow the steps given below and continue surfing facebook keeping yourself offline from chat status.. Enjoy surfing facebook, playing games without someone disturbing you… now that you know how!